Cavin-Morris Gallery is pleased to present a special exhibition introducing two self-taught artists new to the gallery: Jerry Wagner and Timothy Wehrle. Despite their difference in age, Wagner was born in 1939 and Wehrle in 1978, the work of these artists meets on an immaterial dissecting table. In these drawings synesthesia, coincidence, place and the pan-historical whisperings of American spirits hover amidst pain, beauty and innuendo. The work of both artists reverberates as if nature and ectoplasm were run through a conceptual blender to spit out an uneasy chatter of image and idea. By tying or binding together disparate time zones and images each creates his own ‘sound’. In the hands of lesser artists this could create a tiresome moebius strip of solipsism, but here both artists invite the viewer inside to handle, muse upon and either crack or transcend those internal codes. Wehrle’s work is pure dreaming but very tightly wound and charted out. His themes are classical on the surface and chaotic at core; almost the opposite of Wagner’s more expressionistic collage approach of blending drawing and old diaries and journals. So what appears chaotic to the eye is self-managing internally. 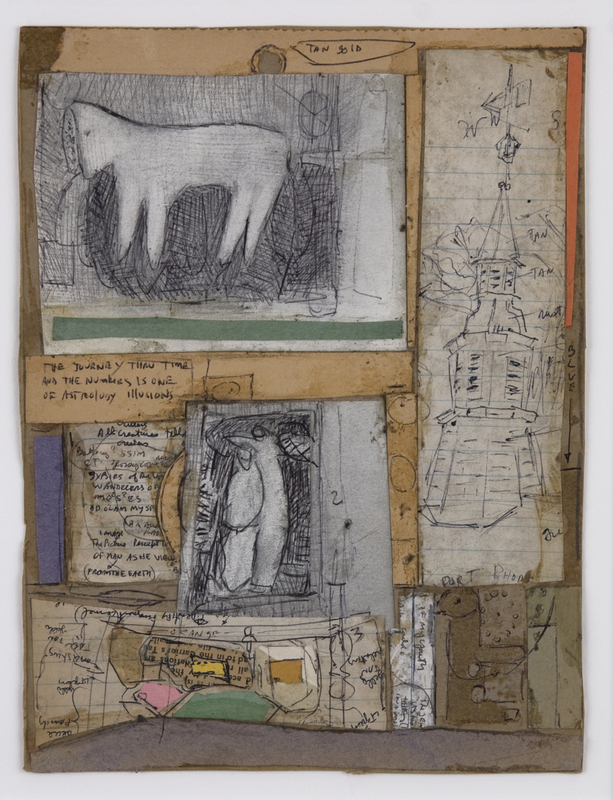 Though younger, Wehrle is still moving through the world while Wagner is closer to the consummate Art Brut artist, making work never intended to go out into the art world, keeping it around him in carefully organized stacks and heaps, geared toward amuletic reasonings that strive toward personal stability. Both artists function with intimacy. Wehrle idealizes the world through his work, sweetening it to the point of near-fetishism. Wagner is the eternal internal American wanderer who reads mystic pan-cultural texts and vernacular signs, weaving them together in an almost indigenous tapestry. Both artists manage to combine inner and outer worlds in such a way that we are drawn in and able to reveal out own potential to be healed by their work.